The Provincial Museum of Pinar del Rio history is located in a building constructed in 1879 by Agustín Antón, a physician from Valencia Spain, who used it as his home and office until 1892. Up until 1976 the glorious building was used as headquarters by Pinar del Rio’s provincial Government at which time it opened as a museum to commemorate the history of the province. The museum features five permanent halls providing with an insight into aboriginal presence in the region, the history of Cuba’s war of independence and the extensive colonial period, right up until present day. 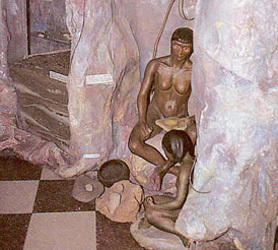 One of the halls is dedicated to Pinar del Rio’s illustrious artists with objects linked to the musical career of Enrique Jorrin, who created the popular musical rhythms known internationally as cha-cha-cha, as well the pictorial work of Pedro Pablo Oliva, Tiburcio Lorenzo and Domingo Ramos, the latter a prominent landscape painter of the Viñales Valley. The Hall of Fine Arts holds a diverse exhibit of crystals, porcelain, pottery, furniture and other items.